Come on. Admit it. You too love a good ‘train wreck’ – something so embarrassing or despondent that you can’t look away. 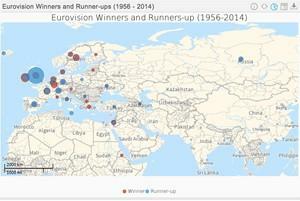 So which countries have the worst performance records at the Eurovision Song Contest? 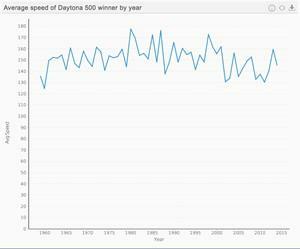 Let’s use Business Intelligence and data visualization to uncover the humiliation. 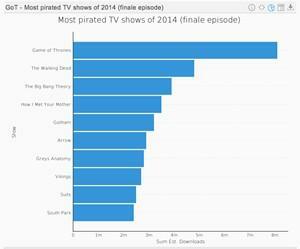 The word is out – sorry Norway! The Norwegians own the dubious ‘honour’ of holding Eurovision’s most inauspicious title: Worst performer of all time. Ouch. Norwegian artists have hollered, howled and wailed their way to nine outright last place rankings. Oh, and they’ve also finished amongst the bottom three Eurovision acts on 14 occasions – the second highest in the competitions’ history. Double ouch. 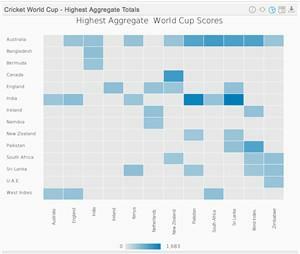 The most bottom-three-worthy performances goes to Belgium with 15, who also share second place on the all-time outright losers list with this year’s host, Austria. 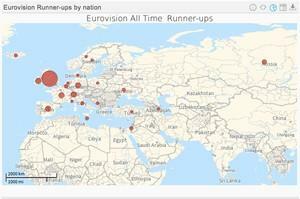 Intriguingly, despite Luxembourg rocketing to equal second on the all-time Eurovision winners list, with five first place finishes from just 37 appearances (See our other Eurovision blog post, Data visualization shows Eurovision success rates by country), it’s also endured its share of significant embarrassment on the world stage. Luxembourg has finished amidst the bottom three seven times – three of which it finished dead last! Of the countries represented on this unfavourable list, it seems – at first glance – as though Portugal has escaped relatively unscathed. 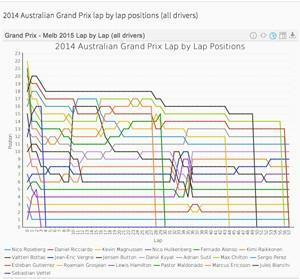 After all, it’s managed to avoid finishing outright last, despite eight bottom three performances. But, whilst its lows may not have hit ‘rock bottom’, has it experienced its share of highs too? 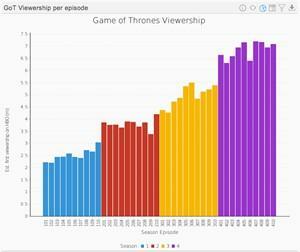 It seems that we spoke far too soon. By this measure, Portugal has the worst Eurovision record of the lot, competing in 48 out of a possible 59 Eurovision Song Contests, without a win. 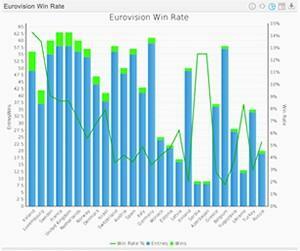 They haven’t even managed to claim the runners-up mantle – see our blog; Data visualization compares Eurovision winners & runners-up. This earlier post also found that countries in the Western half of the European continent have experienced greater Eurovision success compared to other regions. And this got us thinking. 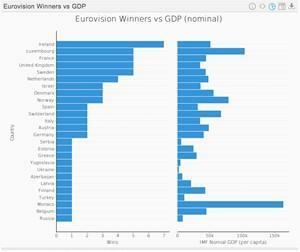 Is there a relationship between GDP per capita and Eurovision success? After all, many of the countries included in the above ‘Most Eurovision entries without a win’ chart do have relatively low economic outputs. 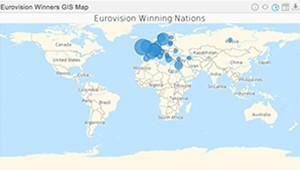 To find out more, check out our blog post, Data visualization probes Eurovision wins by populace & GDP. Whatever the case, as an Australian-headquartered company, we’re hoping that provisional Eurovision debutant, Australia, avoids the bottom three at Eurovision 2015. And, if this buzzfeed.com breakdown of all 2015 entrants is anything to go by, we’re feeling pretty confident about Australia’s Guy Sebastian. 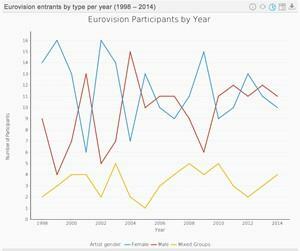 Whilst it’s enjoyable to analyse Eurovision successes and failings by country – to ‘play on’ nationalistic sentiments, it’s also interesting to consider the impact of language at the Eurovision Song Contest. 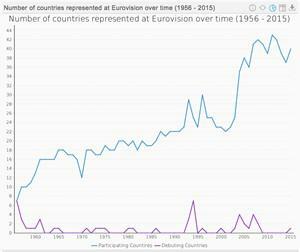 Stay tuned for our upcoming analysis of Eurovision performances by language.